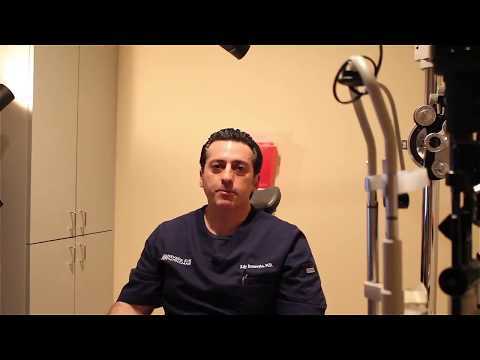 In Episode 3, Dr. Rouweyha dives into how cataracts can be treated. My name is Dr. Rajy Rouweyha. I'm with Nevada Eye Physicians, and this is a cataract awareness month. This is episode number three. And the question is, how are cataracts treated? Well, there's really only one true way of treating cataracts, and that is surgery. If they are indeed visually significant and they're causing a problem, then they need to be removed. Having said that, there's different grades of cataract formation so some people can actually get glasses in the beginning, but ultimately if the cataract is bad enough then surgical intervention is required, and that is done at the surgery center. And if you would like more information regarding that, please come visit us at our office in Nevada Eye Physicians, and we'll be more than happy to assist you. For more information about cataracts or to schedule an appointment with Dr. Rouweyha, call us today, 702-456-4000.